Check the second part of Nasir’s tutorial on Control systems! Control systems are used to arrange and manage components in a way that the required condition or output is obtained. The word ‘control’ itself shows the command over any system. It is controlled when the systems is stable. A control system can be functioned electrically, mechanically, pressure by fluid (gas or liquid), or it can be combination of these ways. In the preceding tutorial we introduced control systems, their principle of working, the variables involved in the functioning of control systems and the basic types. 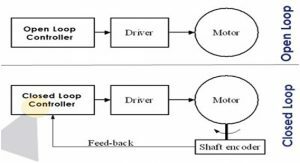 An open-loop control system takes input under the consideration and doesn’t react on the feedback to obtain the output. This is why it is also called a non-feedback control system. There are no disturbances or variations in this system and works on fix conditions. A closed loop system is also referred as a feedback control system. These systems record the output instead of input and modify it according to the need. It generates preferred condition of the output as compared to the original one. It doesn’t encounter any external or internal disturbances. 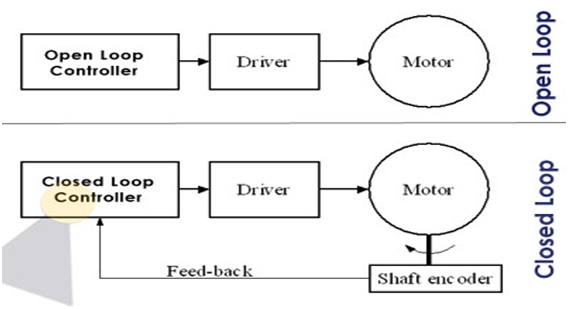 – An open loop control system acts completely on the basis of input and the output has no effect on the control action. – A closed loop control system considers the current output and alters it to the desired condition. The control action in these systems is based on the output. – An open loop control system works on fixed operation conditions and there are no disturbances. – A closed loop control system doesn’t encounter and react on external disturbances or internal variations. – Open loop control systems are mostly stable. – In closed loop control systems stability is a major issue. – There is no effect on gain. – There is no-linear change in system gain. – The structure of open loop control system is rather easy to construct. These systems can be easily implemented. – The working principle and structures of closed loop control systems are rather complex and they are often difficult to implement. – As an open loop control system is easy to implement, it needs lesser number of components to be constructed. Such systems need good calibration and lesser power rating. The overall cost of these systems is low. – As the principle is complex, a closed loop control system needs larger number of components than an open loop control systems. These systems comparatively need less calibration and higher power rating. The overall cost of these systems is higher. – Stepper motors are one of the major examples of open-loop control systems. Automatic washing machine is yet another good example. – Television remote is the most significant example of closed loop control systems. A computer mouse is another good example. 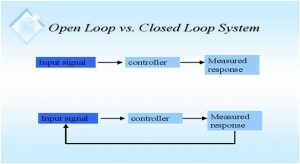 The two types of control systems, open loop and control loop are entirely different from each other. 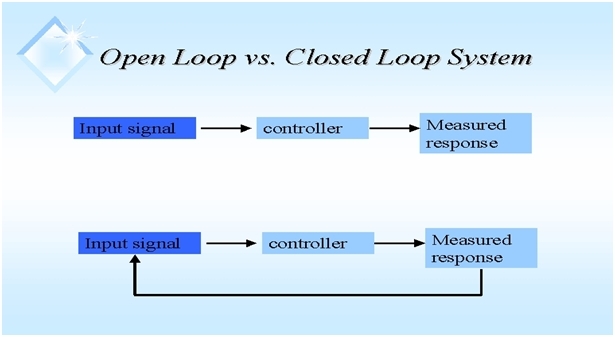 Open loop is simple and works on the input while closed loop is complex and works on the output and modifies it. In the upcoming tutorial we will study time domain analysis of control systems in detail. So stay tuned to have more insight about the control structures. or copy this trackback: http://engineering.electrical-equipment.org/panel-building/difference-between-open-loop-closed-loop-systems.html/trackback from your own site. nice one, simple and educative.